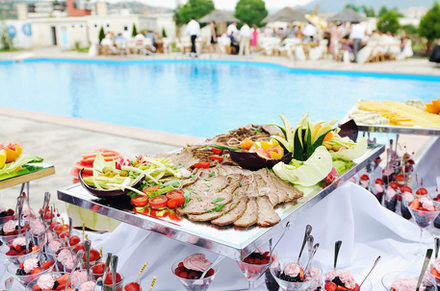 At Niagara Catering Service, we provide beautiful food, presentation, and service to match the dazzling and unforgettable scenery in our area. Whether you’re planning an outdoor barbeque or an event at one of our highly experienced outdoor venues in St. Catharines, Niagara Falls, Thorold, Welland, Niagara on the Lake and surrounding areas, we can provide the type of courses and food to meet your expectations. 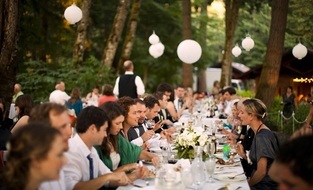 We want nothing more than to make your outdoor occasion a hit. Let our experience, classic touch and style make a meaningful and wonderful impression for you. We excel at catering to any outdoor event. Our staff arrives promptly for set up and plans for any last minute alterations, due to weather restrictions and more. If your event has to be moved indoors, we have a game plan ready for such an emergency. 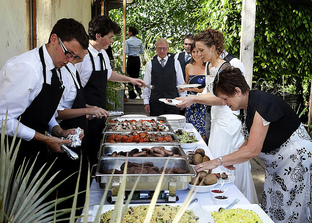 When it comes to celebrating lives’ most beautiful and precious moments with friends and family, you want a catering service you can trust to handle all the little details. We can provide theme food, and customize options and finger foods for little ones. We leave no client unchecked and cared for. Our personal chefs are also classically and professional trained in all types of cuisines and techniques. They can create signature dishes just for your occasion, or you can choose from our many fine-tuned menu options. As always we serve only the finest quality of food including seafood and other ingredients. We want our clients to experience only the freshest and purest form of ingredients. We aim to provide only the best service possible so you can enjoy your event with perfection. 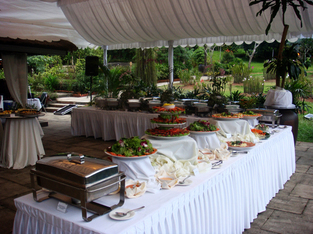 When it comes to planning and serving an outdoor event, our catering staff can help assist with all the little details. We can accommodate any schedule or time of day for your event. If you want classy and elegant, we can deliver. If a causal and relaxing, but beautiful affair is more you’re speed, we’re ready for anything. We have a vast variety of appetizers and main courses with sides and mix-ins that allow you to build your menu based on the details of your event. We can also cater your menu based on any sensitivities that lean towards needing gluten-free, dairy-free, vegan or vegetarian dishes. In addition, you can always expect the highest level of service from our catering staff, who will deliver food and drinks to your guests, and/or will ensure that all beverage, appetizer and dessert bars are always fully furnished for your outdoor event. With professional staff, helpful and responsive communication, spectacular food, a variety of menu options, highly trained chefs, prompt service, and more, why book with anyone else? We guarantee an incredible dining experience, and are dedicated to making sure your evening goes off without a hitch. Give us a call at 289-273-2266 today to book your next event, big or small with us. You’ll find no other catering company with our Niagara Baptism Catering services. With our beautiful and experienced touch, we can make any outdoor event special, memorable, and enjoyable with our amazing and affordable food.